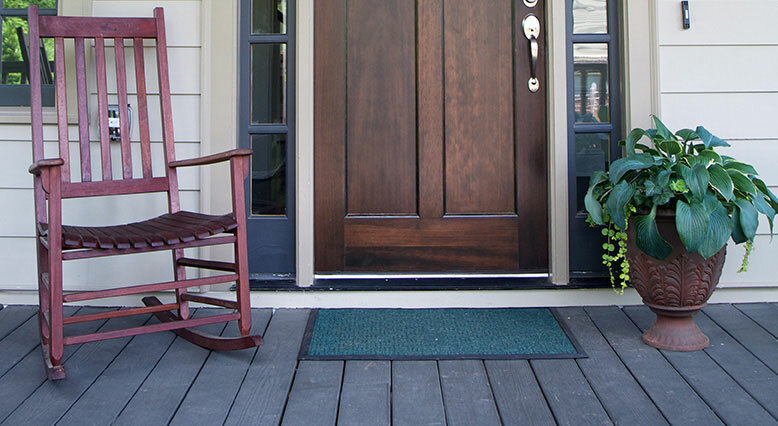 Give your home a custom look, without designer prices. Give your home a custom look, without designer prices. 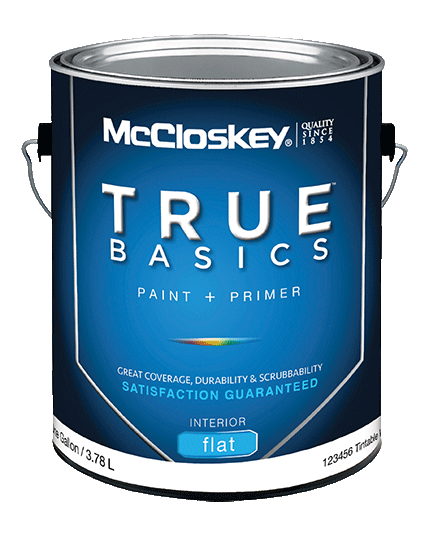 TRUE BASICS Interior paint + primer delivers smooth performance and lasting durability. It covers well, cleans up with soap and water, and stands up to scrubbing to keep your walls looking fresh. Ideal for interior walls, ceilings and trim. 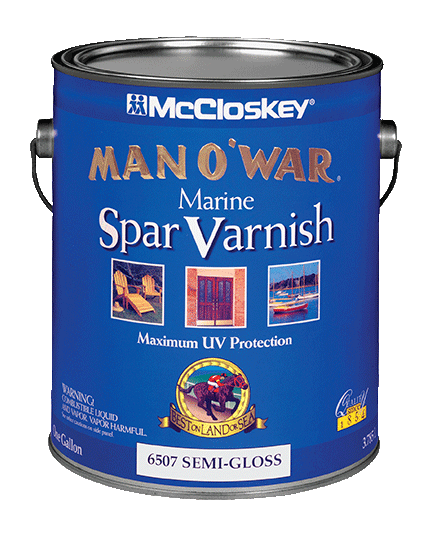 Applies easily to properly prepared and primed plaster, drywall, brick, cement, wood and metal. Protect your biggest investment from rain, snow and damaging UV sun rays. 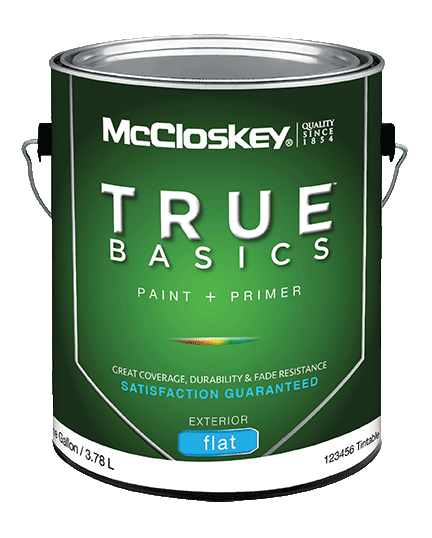 Climate-tested TRUE BASICS delivers washable, scrubbable performance to keep your home looking good for years. Ideal for properly prepared exterior siding and trim. Includes hardboard siding, primed metal, shakes, shingles, brick, cement, cinderblock, stucco, concrete, stone, galvanized steel and aluminum siding. Seal and protect wood from water and sun. 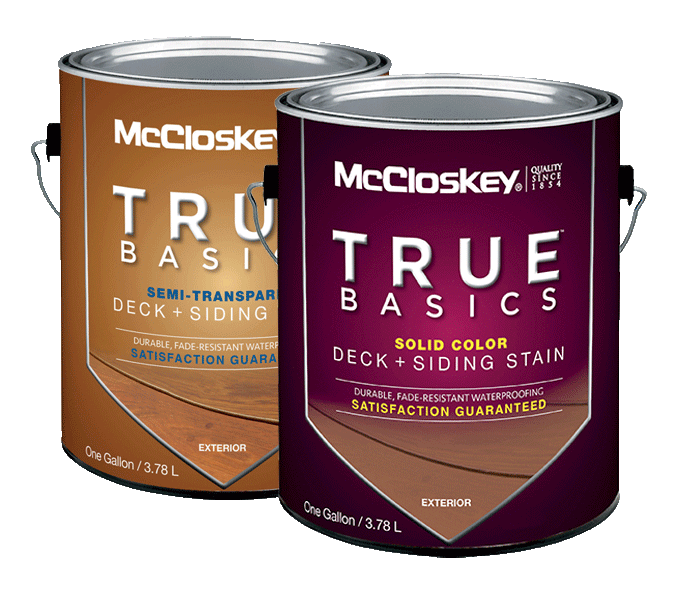 For decks in good condition, bring out the beauty in wood with True Basics semi-transparent stains, available in 22 colors. 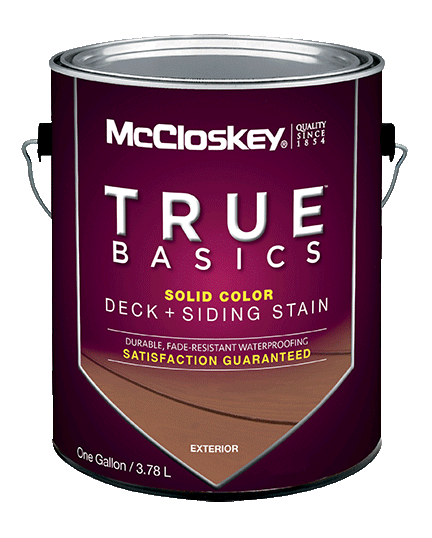 For decks that are weathered, have mismatched boards or have been previously painted, choose from 22 colors of True Basics solid stains for a protective finish formulated with stronger sunblock. Outdoor wood decking, siding and fences. The strongest name in clear protection. Choose from gloss, semi-gloss or satin finishes, to beautify your interior and exterior wood surfaces for years with no cracking or peeling. 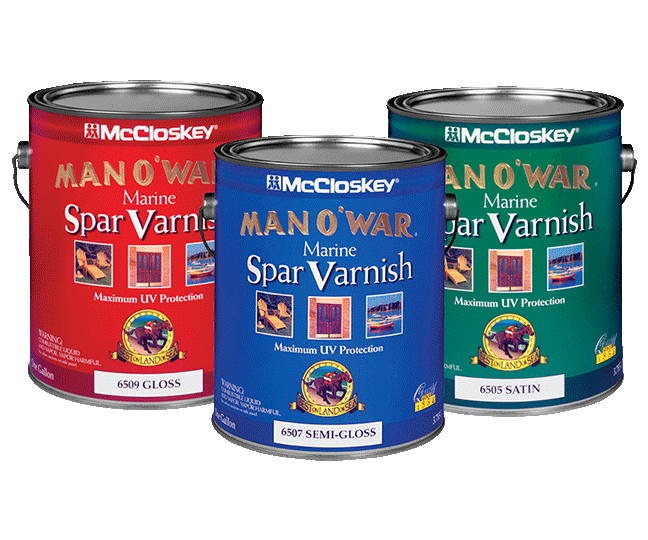 McCloskey is part of Valspar, one of the world's largest and most innovative paint and coatings manufacturers. For more information click here. Colors that display on the screen and printed colors may not match the paint's actual color. See your paint dealer for a color swatch.